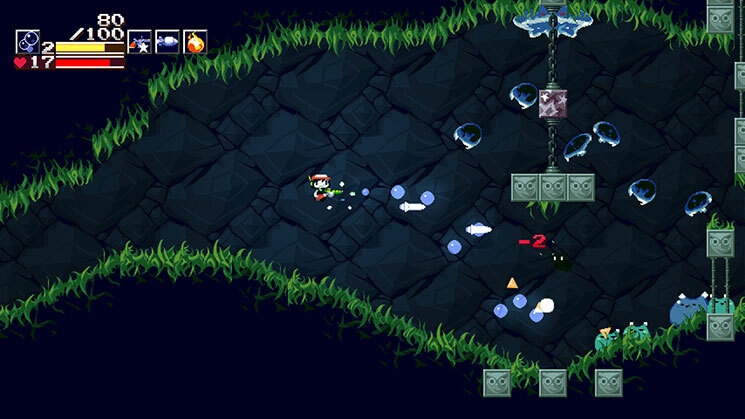 For the unfamiliar, Cave Story, originally known as Doukutsu Monogatari, was first released in 2004 for Windows-based home computers. 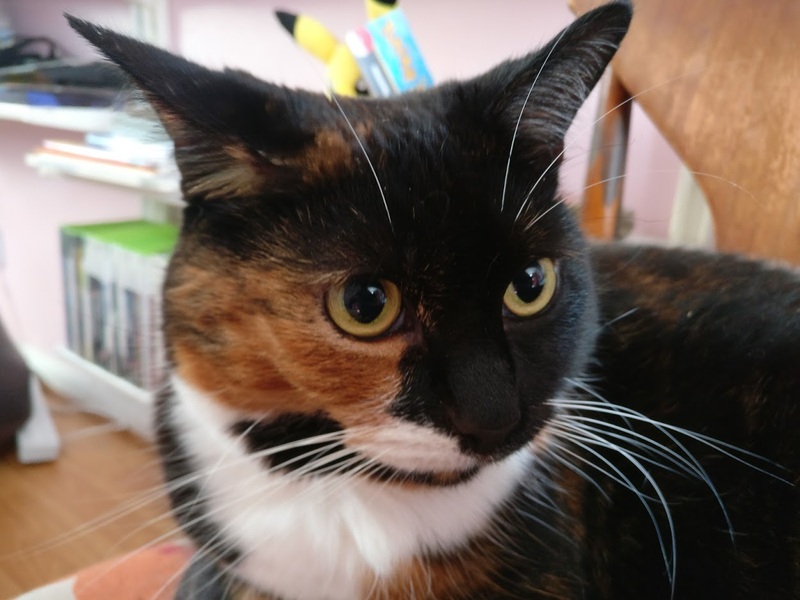 It was a pet project of developer Daisuke Amaya, better known to some as “Pixel”, that he developed over the course of five years during his free time, and was intended as an homage to classic NES titles such as Metroid and Castlevania, both in terms of its presentation and gameplay. The game subsequently was brought to a wider audience by Californian developer-publisher Nicalis, who worked alongside Pixel to port the game to Nintendo’s downloadable software portals for the Wii and DSi. This version was released in 2010, with an enhanced Steam version following in 2011 and a port of this version for 3DS in 2012. The Switch version represents the latest evolution of this “Plus” version. 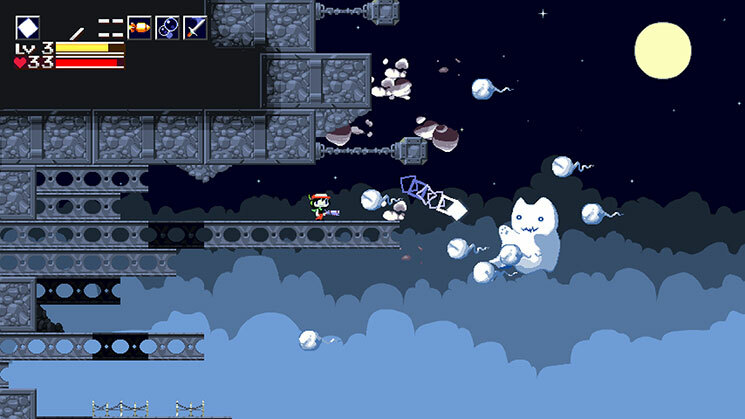 While Cave Story began as a project for Pixel to refine his abilities at programming and design, he demonstrated from the outset that he already had a clear understanding of the design principles behind the NES titles of his youth. For example, the colour scheme and character design of the protagonist is heavily inspired by the earliest depictions of Mario, featuring a large and expressive face and a choice of colours that stand out strongly against the backdrop. The use of a limited colour palette also made it more practical for Pixel to produce all the art assets himself. Pixel also eschewed the use of explicit tutorials in the game, preferring to encourage players to experiment and “learn by doing” — indeed, this is the case right from the very beginning, in which you have a choice of routes down which to proceed, though before long one path is blocked off until you acquire an item from the other direction. As you progress through the game, it continues to teach you concepts through gameplay and level design rather than explicit tutorial messages; a refreshing change from many modern games, for sure! When you start Cave Story, you’re given no indication of what is happening, who you are or what you’re supposed to be doing. This is far from a freeform sandbox game, however; a bit of exploration will quickly see you starting to uncover the imaginative and well-written but unobtrusive plot that complements the whole experience, beginning by encountering a village populated by the rabbit-like Mimiga creatures and culminating in the discovery of the truth behind the place in which you’ve found yourself, your identity and why strange things are happening around you. 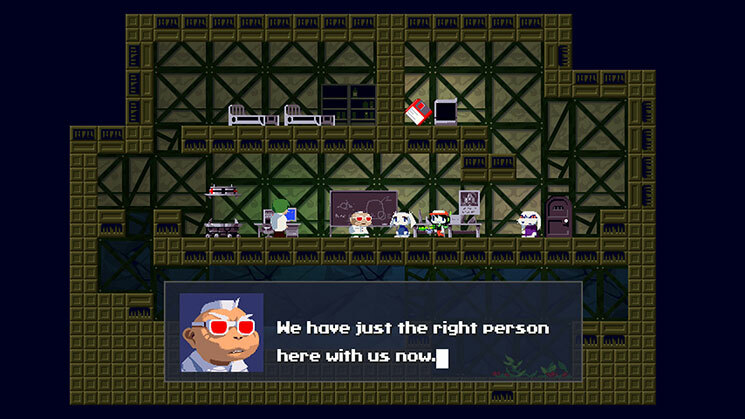 Cave Story is essentially a “Metroidvania” of sorts, though there is a much clearer sense of structure than in some similar titles thanks to the plot nudging you in the right direction at various points. You explore a number of different environments, gradually acquiring an arsenal of new weapons and items and defeating enemies, with boss fights coming at major plot points or transitions between areas. The environments you have to explore are rather varied, ranging from a technology-laden secret base to a “sand zone” filled with ancient ruins and sharp-fanged beasts hiding beneath the dunes just waiting to bite you on the bum. At least for the first time you play the game, there’s a constant sense of discovery and mystery as you make your way through these areas, attempting to figure out quite where you are and why. 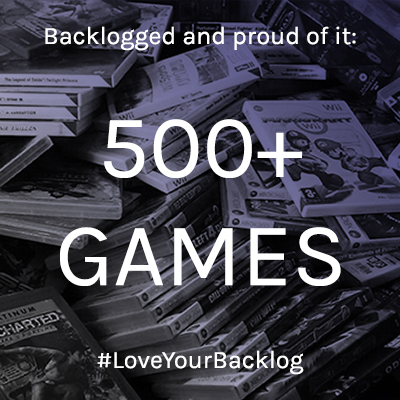 On subsequent playthroughs, the clearly distinguished areas help make each section of the game easier to memorise — particularly helpful for those hoping to speedrun. The game’s mechanics are simple but provide an enjoyable amount of hidden depth to the combat. Aside from the platforming-based exploration — which incorporates plenty of “NES hard” jumping puzzles, though thankfully no blind leaps of faith — there’s a significant element of “run and gun”, too, with enemies attacking from all angles while you continue on your quest. Beginning with a simple gun called the “Polar Star”, you can collect various other weapons — some of which are hidden and optional — throughout the rest of the game, and each can be levelled up by collecting triangular fragments dropped by enemies. Each level of a weapon tends to have a noticeably different effect, with some such as the machine gun even allowing you to get creative and propel yourself into the air by firing downwards. 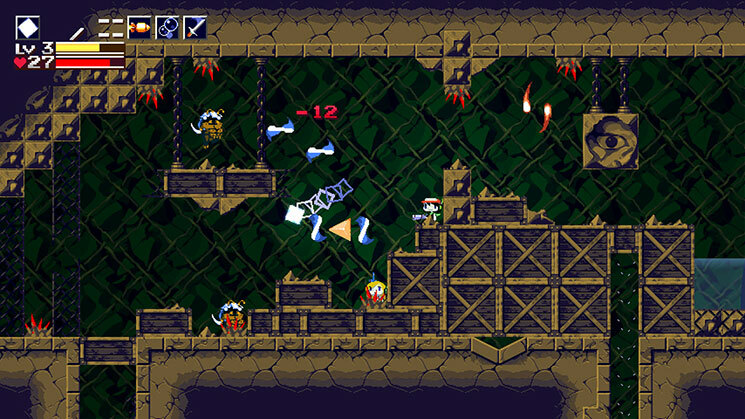 The levels and bosses are all designed in such a way that each and every weapon is useful at some point throughout the game. The twist on all this, though, is that your weapons can (and will) level down when you take damage, providing a greater incentive for skilful play than simply maintaining your health. Although a further twist is applied to this with one of the best weapons in the game, which actually gets weaker as you level it up, requiring you to resist your natural temptations to collect every shiny thing on the screen. 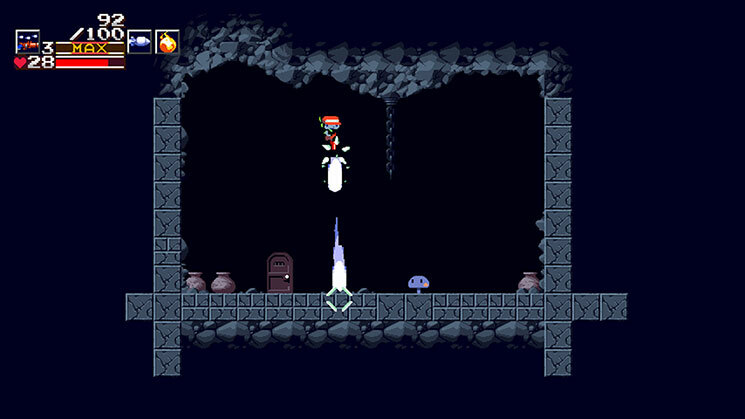 The nice thing about Cave Story is that despite the fact it’s a challenging game throughout, it doesn’t overwhelm newer players by giving them too much to think about too soon. 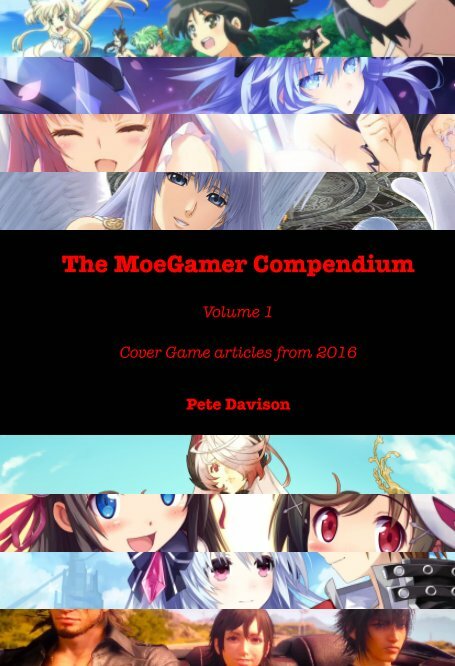 You’ll uncover weapons and abilities at a gradual rate as the story proceeds, and the most challenging parts of the game are only accessible if you fulfil a very specific set of requirements that you’re unlikely to stumble across accidentally. The story itself is an enjoyable one, featuring likeable and interesting characters throughout, with a particular highlight and fan favourite being the relentlessly chipper female robot Curly Brace. The narrative blends moments of comedy, pathos and tragedy throughout, and despite its distinctly cutesy appearance is actually rather dark and disturbing at a number of moments; there’s something very unsettling about a number of the characters, and depending on your actions throughout there’s no guarantee everyone is going to make it out alive at the end. I’ll resist spoiling it further, however, because a number of surprises throughout are really worth experiencing for yourself, but suffice to say for now that those who enjoyed works like Nier: Automata and their reflections on whether mechanical beings might be capable of empathy and other such “human” characteristics will probably get a kick out of this. One thing I will mention that is specific to the Switch version, however, is the packaging for the physical release. 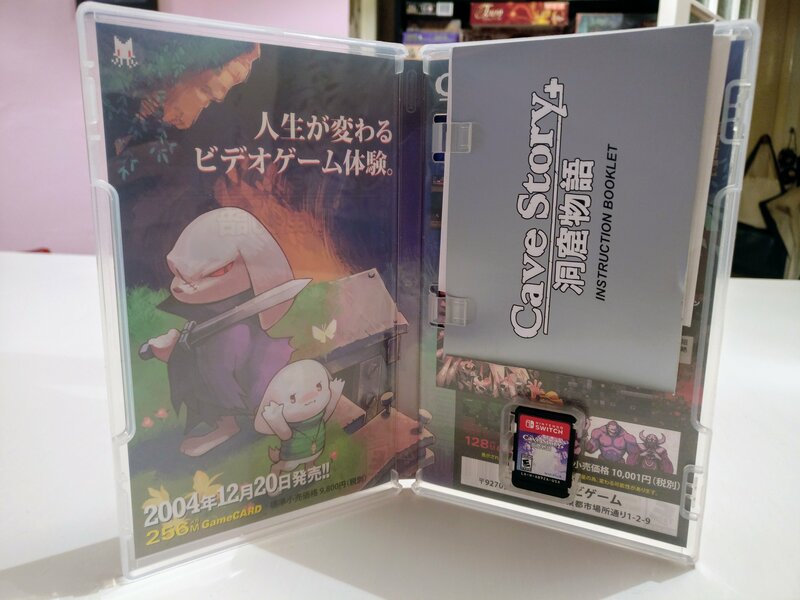 Rather than simply providing the usual snap case with nothing but the game card inside, Cave Story+’s release features a soundtrack in mini CD format, and a landscape-format NES-style instruction manual including illustrated, full-colour tips on how to play the game. Not only that, it even has an authentic “DO NOT READ PAST THIS POINT!” section that helps you, via a coded message, unlock the best ending — though it says nothing about how much the final level on this route will make you want to put your Switch through the nearest window. 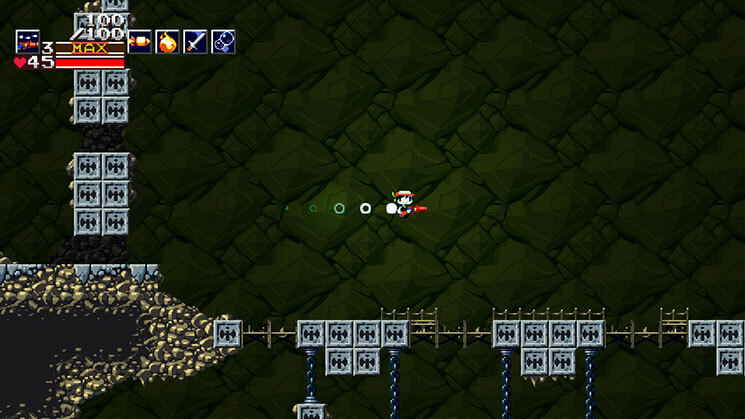 Cave Story+ is an absolute delight to play on the Switch in either handheld or docked mode, and it features all the additional content from previous releases of the game, including two graphical tilesets (based on the freeware original and the enhanced WiiWare release), four different mixes of the soundtrack ranging from an authentic “FamiTracker” mix based on the Famicom’s synthesisers to a heavy rock version, a two-player mode, and a number of bonus “challenge” missions that task you with completing difficult levels armed only with one of the weapons from the main game. 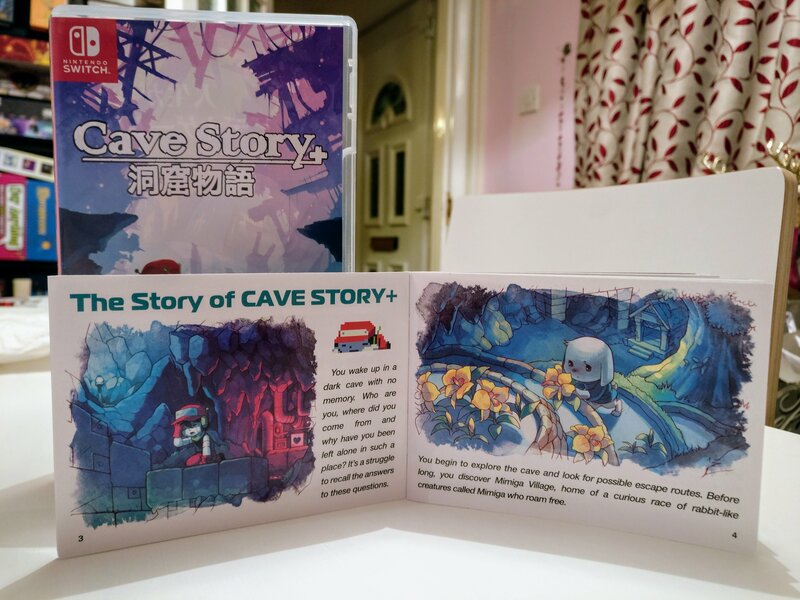 It is, by far, the most comprehensive and impressive release Cave Story has ever had, and a fitting tribute to this longstanding and much-beloved modern classic.